Nakhon Sawan Rajabhat University, Language Centre is looking for qualified Native English Speaker Teachers - Salary up to 28,780 Baht per month for teaching regular program students plus 300 ฿ per hour for teaching International Program students. We are seeking an active and engaging English teacher who loves to teach and doesn’t stop thinking about the job when class ends. 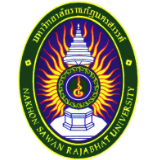 If you are patient, compassionate and genuinely care about your students, then come work for Nakhon Sawan Rajabhat University, language Centre. You will teach classes that include all four language skills to ESL students. • Experience working in a bilingual environment. We only accept NES candidates and only shortlisted applicants will be contacted.